A perfectly shaped, tough-as-nails, dwarf pine tree. 'Tannenbaum' has an open shape in youth but consistently matures to a compact, pyramidal form. 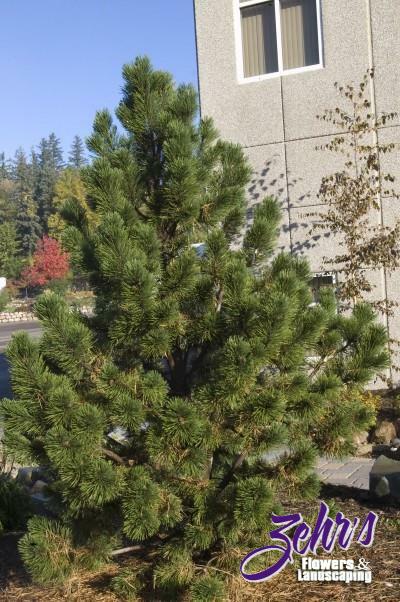 Because it is vegetatively propagated and grafted on P. sylvestris rootstock, you won'™t see the variability in size and form so often associated with Mugo pine. All of these outstanding attributes would make 'Tannenbaum' an excellent choice for a specimen tree. Exceptionally cold hardy. From South Dakota State University.